“You could say that in the future, music will become space. I think that sound motion in space will be as important as melody, harmony, rhythm, dynamics, timbre “. Later, in 1970 with the architect Fritz Bornemann, he will design a 28m large spherical auditorium for the planetarium of the German pavilion at Osaka World’s Fair. He foresees in this achievement, an architectural sound spatialization ideal. He then will create a link between architecture and spatial composition, which later would be developed by Xenakis. The works and ideas of these both precursors are now at the heart of a contemporary movement focalized on space/sound relationship and interaction with the visual arts. In ENTROPIA, this concept is approached through electronic music. Using computer compositional techniques and technologies such as the SPAT and IANNIX, the artist FRACTION (@fraction) proposes an interdisciplinary artistical approach as a common language outlining an alternative view in the audio-visual design field. 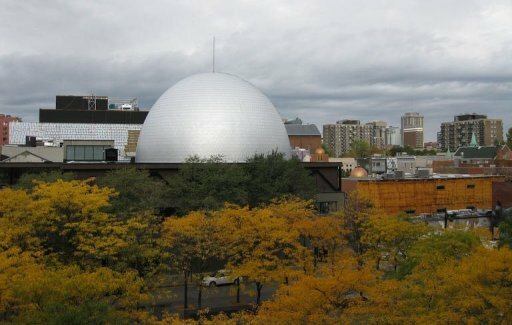 The Société des Arts Technologique of Montreal’s Satosphere, is an immersive space, an hemispherical dome of 18 meters in diameter and 13m in height. 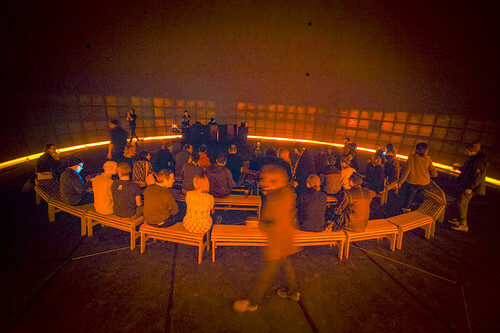 With a 360 degrees projection screen supporting 157 speakers, the Satosphere is a unique space dedicated to artistic creation. Visual and sonic immersion is its primary mean of expression. It can accommodate up to 350 spectators. 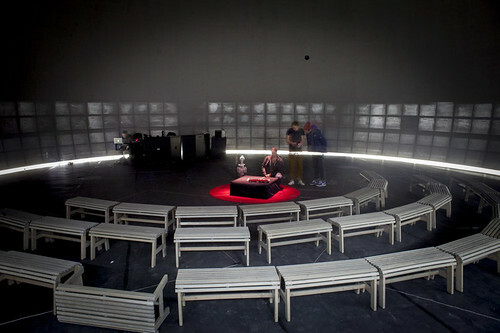 The SAT also hosts a Labodome, a reduced model of the Satosphere where artists in residency can test and finalize their immersive productions prior to their performance. 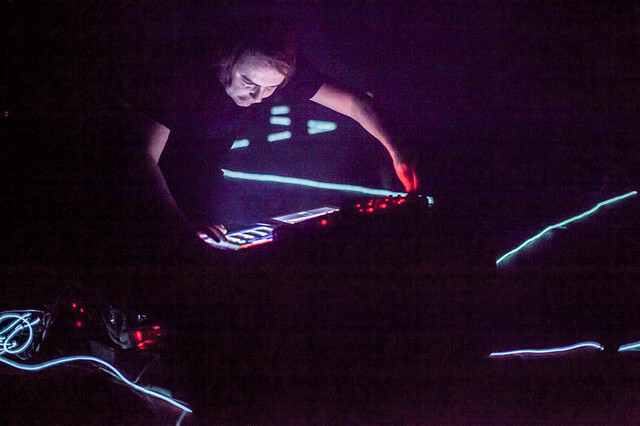 In 2013 with visual artist Maotik, Fraction created DROMOS, an immersive audio-visual performance commissioned by the SAT and created in the Satosphere at MUTEK festival. He staged concepts from the urbanist and thinker Paul Virilio, mostly about speed, speed as a major factor in the evolution of our societies. The work widely covered throughout the blogosphere, initiate its approach on a new dialectic of spatialization in electronic music. In the wake of this work, as laureat of Institut Français grant for the France/Quebec digital field program, a new residency at SAT give him the opportunity to think of a new work in which he would redefine sound spatialization potentiality for electronic music and expand its capacity in this context to manipulate the sound material in real time. In his new immersive audio-visual performance Entropia, Fraction will look into another holistic process (entropy). 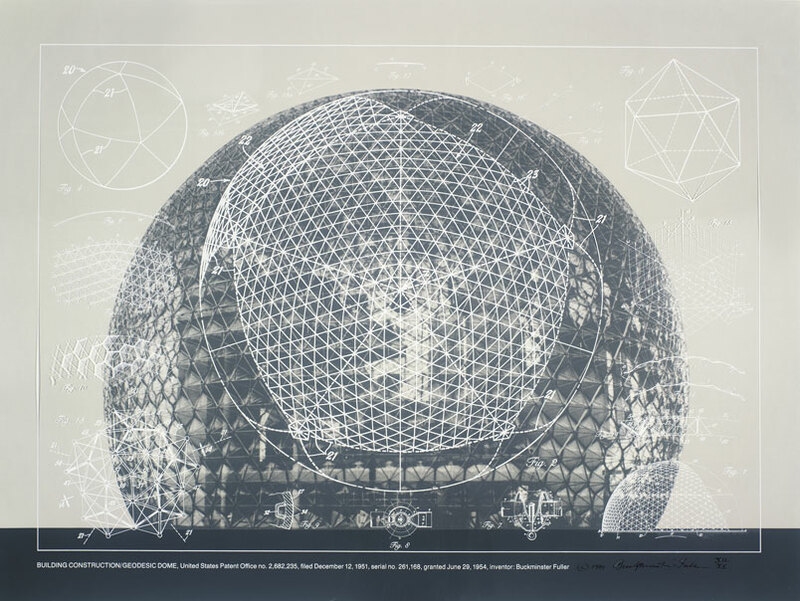 Starting from the geodesic design theory of Richard Buckminster Fuller, He will pay a tribute to the architect and designer’s ideas. 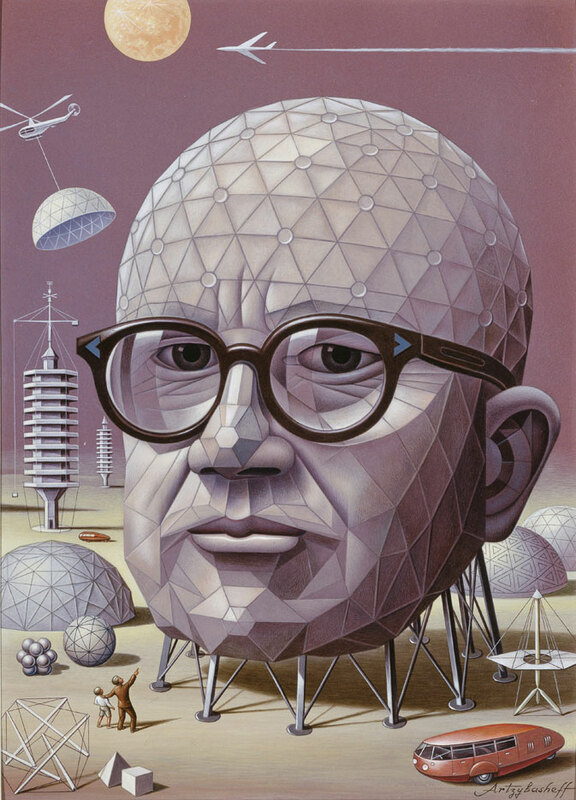 Photo #5 – Boris Artzybasheff (1899-1965) R. Buckminster Fuller, 1963, gift of Time magazine. 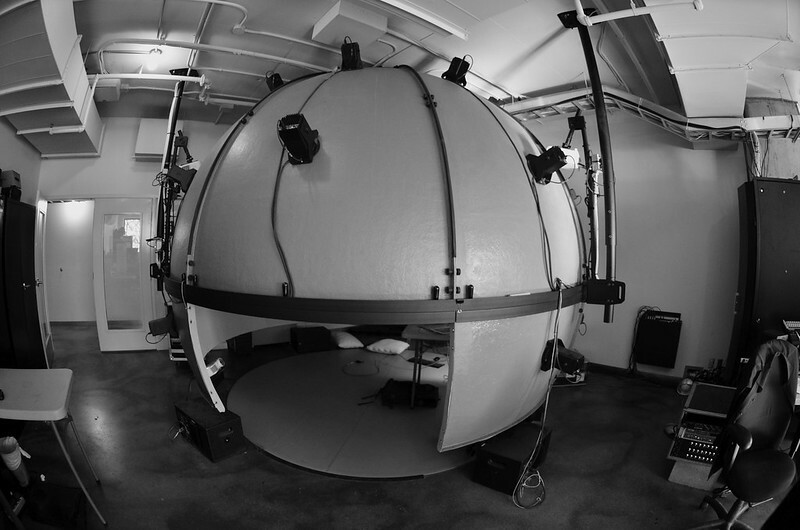 The dome represents the architectural and immersive space the best suited for the work’s objective, as well as an ideal sound concept for setting up an ambisonic model. It offers also an opportunity to think over a different notion of a concert, a different relation between audience and the composer/performer, in a process where immersion becomes a global precept. In thermodynamics, while the first principle is a principle of conservation of energy, the second principle is the principle of evolution. It states that any real transformation occurs with inevitable increase in global disorder; disorder measured by entropy. Therefore it is said that there is production of entropy. Here as in Dromos, Fraction brings immersive creation at the service of scientific inquiry in order to bring forward a phenomenon that escapes our own objective observation, as it is beyond our realm of perception. For Richard B. Fuller, the geodesic dome was an answer to his questions concerning our duty to implement sustainable development in a finite world tending toward chaos. Using the dome as a symbol, the artist proposes an allegoric non-conventional answer by using the notion of sound disorder and by giving the audience the opportunity to take up these questions through a multi-modal experiment. 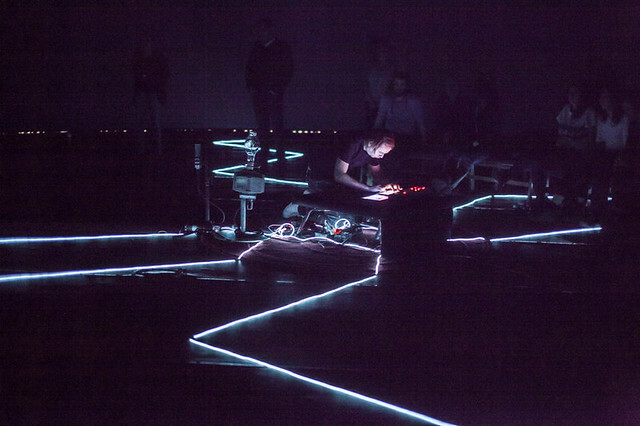 Entropia is primarily a multi-channel electronic music performance in which the composer uses spatialization, movement and real time effects applied throughout the entire sound field. At the core of the piece, the IRCAM Spat operates as a transitional gateway for all audio signals. 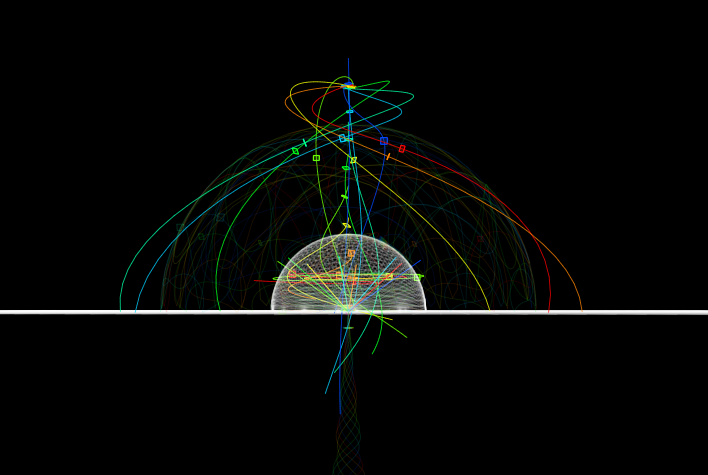 Ambisonics of order 4 are reached using the distribution of 8 to 16 sound sources/voices in 31 channels (the 157 satosphere’s speakers being grouped in clusters). This renders a dense sound plasma, which the artist can freeze, and spatial contrasts that defies the dome’s physical limits. With its hemispheric architecture and its 31 possible broadcast channels, the Satosphere is appropriate for the production and projection of a 3D ambisonicfield. The Spat receives sound sources inputs from live Ableton and route them into Max Msp using third party software (Soundflower or Jack OSX). <p style=”text-align: justify;”The artist at this stage can manually position sound sources in the 3D space and control all SPAT acoustic parameters, using a touch interface developed with Liine Lemur specifically for the project . Motion and Density are the central point of Entropia. Therefore, it was necessary to think out some particular device in order to orchestrate the saptialization in real time. 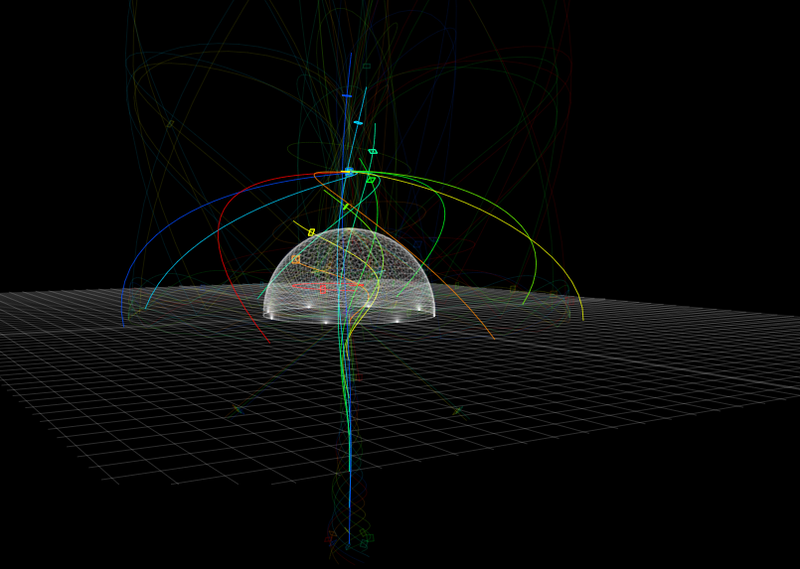 As an interactive tool in controlling these movements, Iannix was an obvious choice. In addressing the creation of geometry, the software allows the 3D sound dimension of the work to be connected with the spatial dimension in an architectural sense. The work is structured in five specific scenes, each with its own Iannix spatial score. 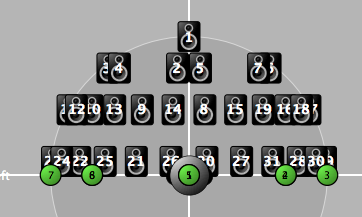 These scores were designed in collaboration with Guillaume Jacquemin (Iannix team). 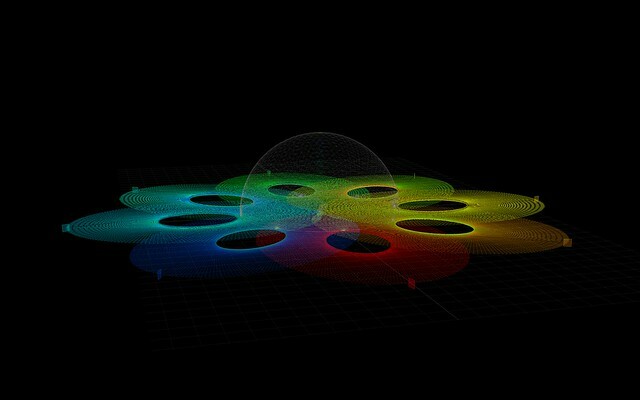 They consist in a group of sets of parametric curves, one for each source, in adequacywith the dome’s own architecture. These curves set the trajectories of sound sources in the 3D space and take part in the narration of the work. The coordinates of the x, y, z sources are then sent to Max / msp – Spat then recreates the movements in the ambisonical context. 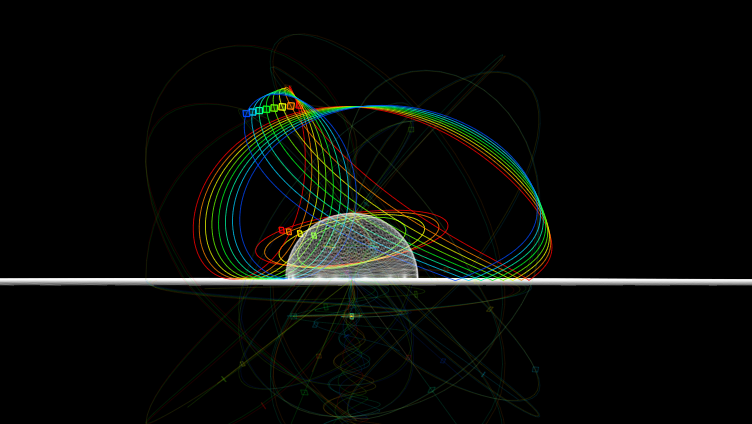 Along these trajectories, the composer controls the sources motions velocity. He can transform these curves in realtime, and modulate their transformation, which inevitably will accentuate the stochastic aspect of the work, including its spatialization. All these parameters are also monitored and weighted using the control interface. 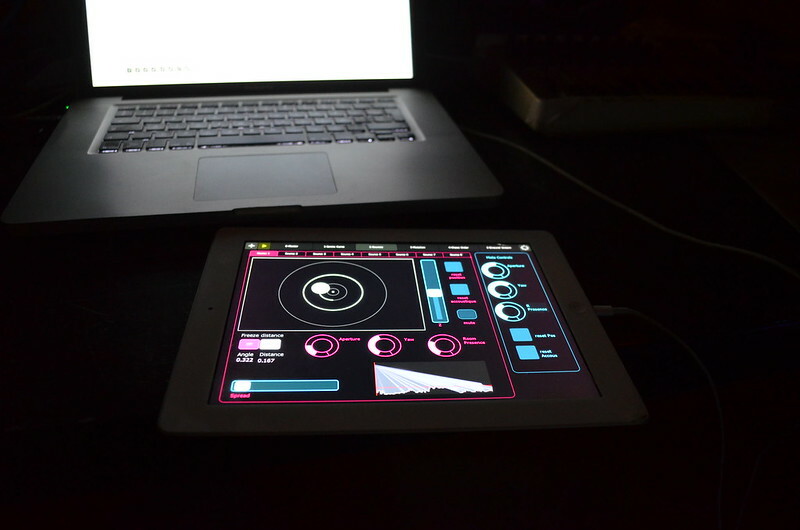 The various tools (lemur, IanniX, spat / max-msp) are interconnected over Internet (wifi) using OSC protocol. 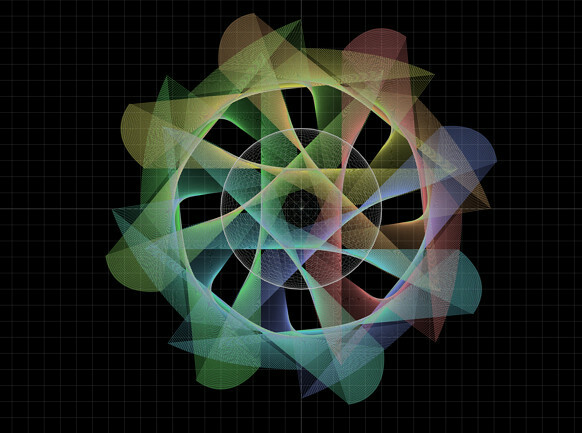 IRCAM/SPAT & IANNIX – ENTROPIA – LIVE MODULATION from fraction on Vimeo. The aesthetics of chaos are the main concern of Entropia. The composer immerses the audience in an intense experience through sound volumes, spatialization and real-time processing. Entropia’s sonic world is based on inharmonic layers and abstract textures, mostly synthetic, composed of harsh dense group that can eventually breakthrough in climactic parts of this work. Spatial movements accompany the entanglement of the highly processed electronic timbres in a complex sonic ballet before dissolving in spectral bursts. In other words, the work could be described as the result of the fusion of studio composition, real-time spatialization (spat) and effect processing applied in the 3D sound domain (delay, reverb, grain etc.). On the 16th of December, at the end of the residency focused on the conceptual development of the work, Fraction presented a first state of his creation at the SAT. At the center of this immersive space, the composer used two Ipads in order to manage the whole system. One permitted him to mix the sound material, the other, to process it, spatialize it and to control it in real time then monitor its acoustic aspects. By becoming immersive, electronic performance changes its nature, and changes the composer’s relationship toward the audience, and the audience towards space. This leads us to rethink a scenography in order to support sound energy, which will be no longer confined to a specific place in space but embraces the entire performance area. Once again, the relation between architecture, light and sound becomes omnipresent and therefore needs new questioning. The final term of this work will include a visual scenography giving a physical dimension of the performance, and will strengthen the immersive feeling of the audience. In this context, a draft scenography produced by Louis-Philippe St-Arnaud, has been established at the residency presentation concert. It gives a slight glimpse of what will be the final version of Entropia for its public release in 2015. *: Presented as part of an exchange program between France and Quebec Council of Arts and Letters of Quebec (CALQ) and the French Institute. Completion of this residence is made possible through the collaboration of the French Institute, the Gaîté Lyrique, Cube, Society for Arts and Technology and OBORO.